We are pleased to offer a range of items resplendent with the club logo so that you can proudly declare your allegiance. Most of these items are available from stock and many others only take a week to obtain. In all cases, if you click on the pictures you can see a larger image. Please allow a few seconds for the image to download as the pictures are high quality and can be (depending upon your browser) zoomed into further. 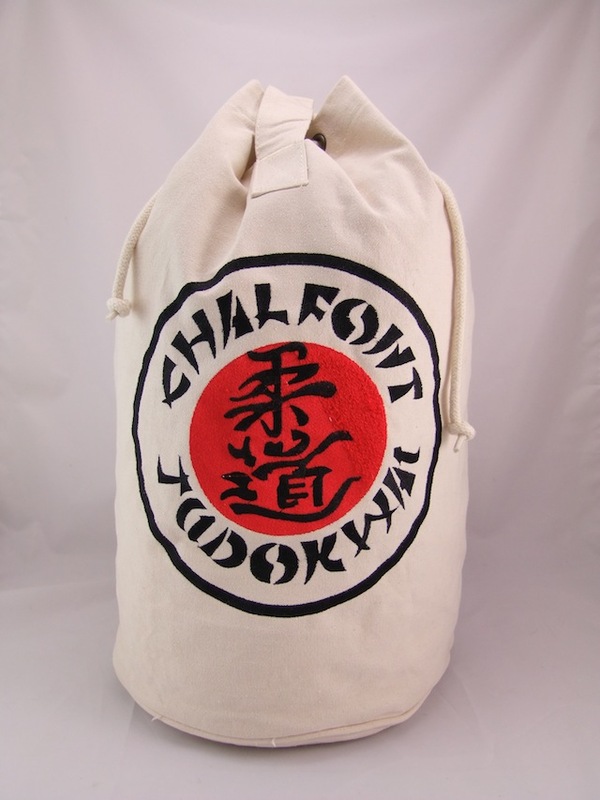 For storing your Judogi and other essentials. Sporting your club logo lovinghly embroidered on the front in a stunning 24cm (10") size, you will never lose this bag amongst the masses. Standing 45cm high and 28cm in diameter, it's big enough for club, competition and squad training. Even big enough for the extra clothes and washbag needed for an overnight stay at a course or championship! Only £15 or £20 if you want your name embroidered on the carry strap (please supply exact text required). 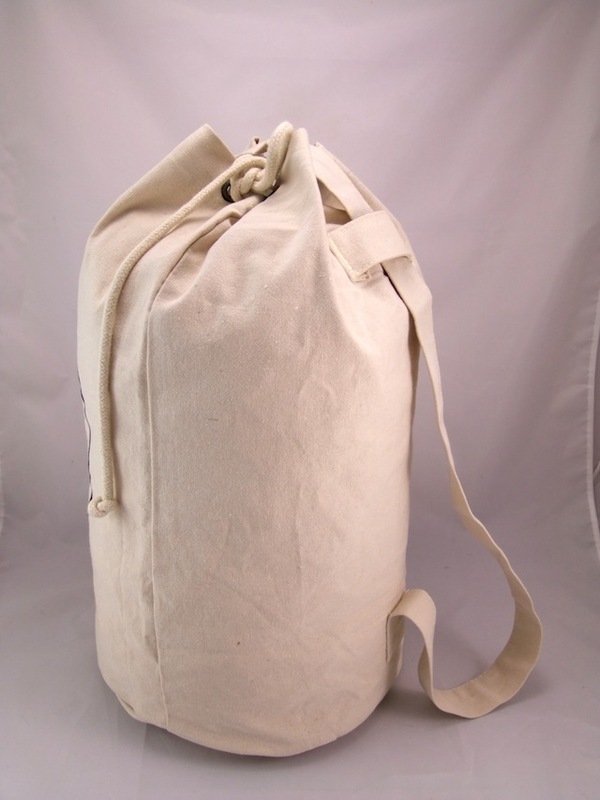 A tough plastic 'canvas' effect bag large enough to hold a Judogi and Zoori for a Primary or Junior up to around 5 foot high. Features draw cord closure that is attached at both bottom corners so that it can be carried 'rucksack' style. 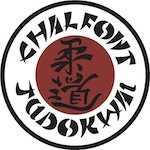 Large Chalfont Judokwai badge on one side to show your allegiance. 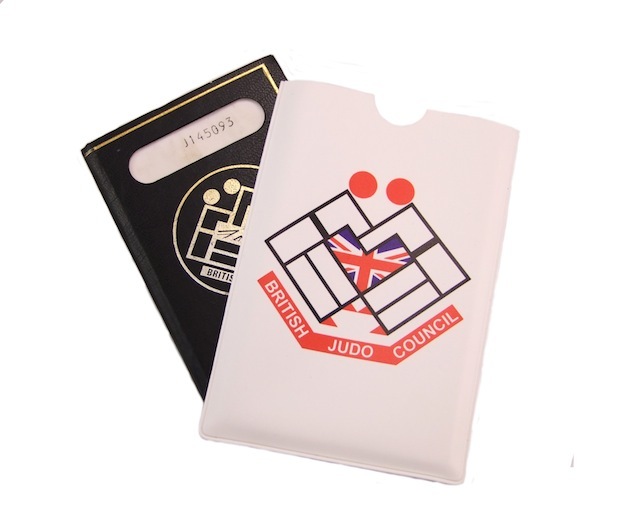 This white vinyl licence holder features a large BJC logo on the front and your licence (whether new type or old) will fit comfortably inside it. It's a great way to keep your licence clean and tidy. 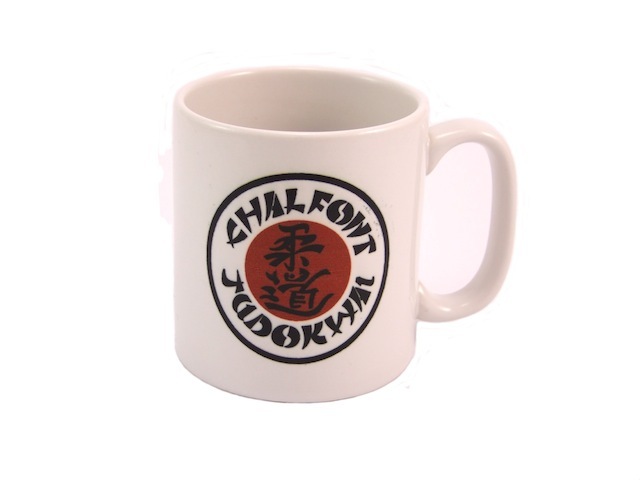 Chunky cermaic coffee mug with your favorite Judo club logo boldy emblazoned for all to see. White T-Shirt with your club logo boldy embroidered in bright red and black. 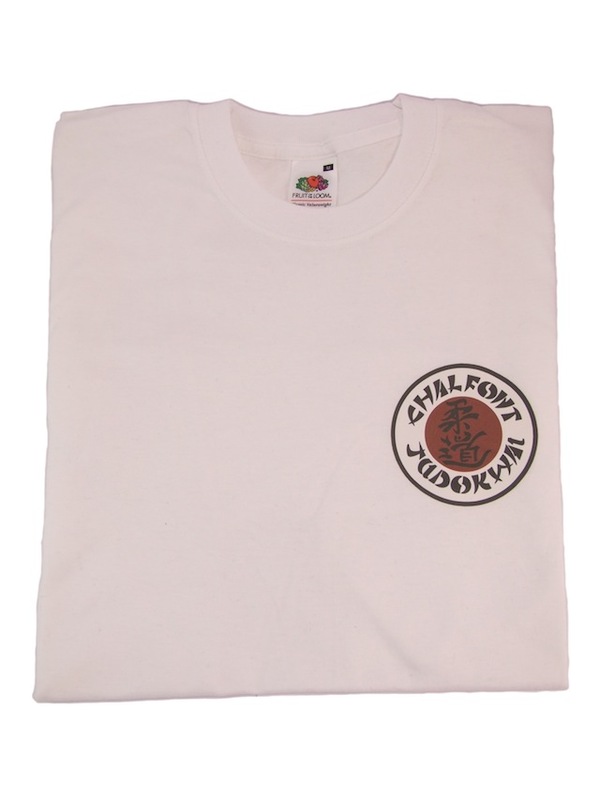 As this is a high neck T-Shirt it is suitable for females to wear under their Judogi. Available in children sizes 9-11, 12-13, 14-15 and adult sizes S, M, L, XL, XXL, XXXL. 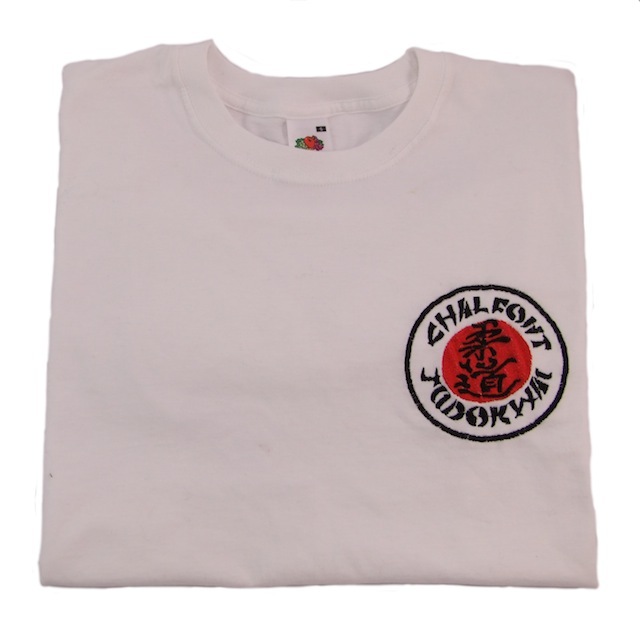 White T-Shirt with your club logo in red and black as a screen printed thermal transfer. Available in children sizes 9-11, 12-13, 14-15 and adult sizes S, M, L, XL, XXL, XXXL although only certain sizes are currently in stock. Ask for details. 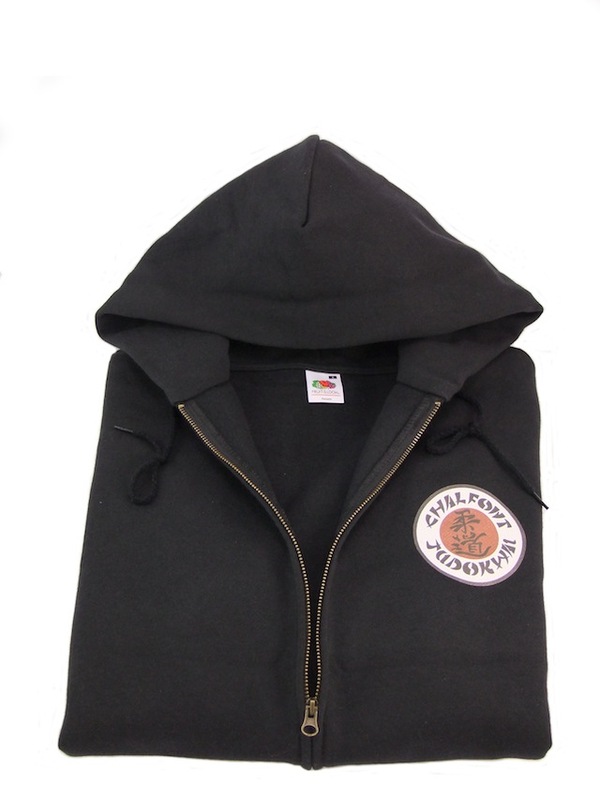 Black sweat shirts, hoodies and zipped hoodies. 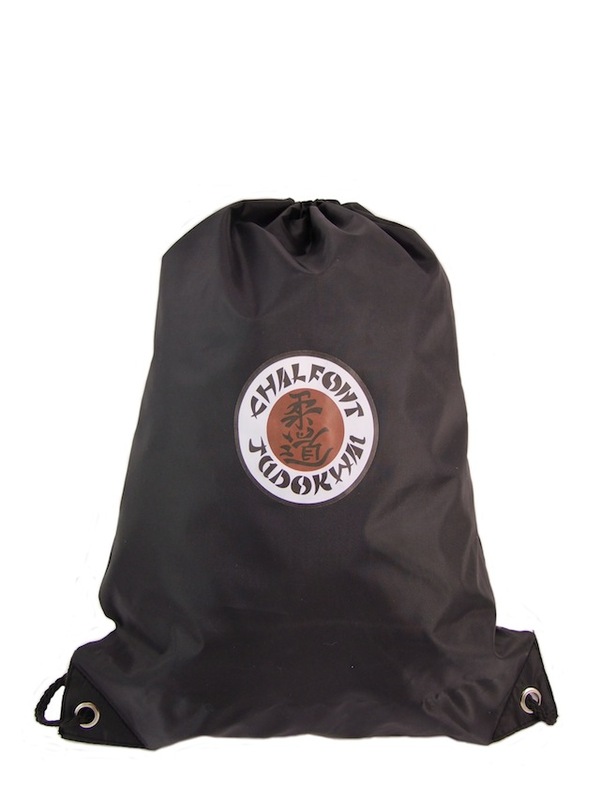 Large Chalfont Judokwai badge on left side with the hoodies featuring deep hand warming pockets. Limited sizes in stock, please enquire, but if not in stock, can be obtained to order. Note: There is no club logo on this item. 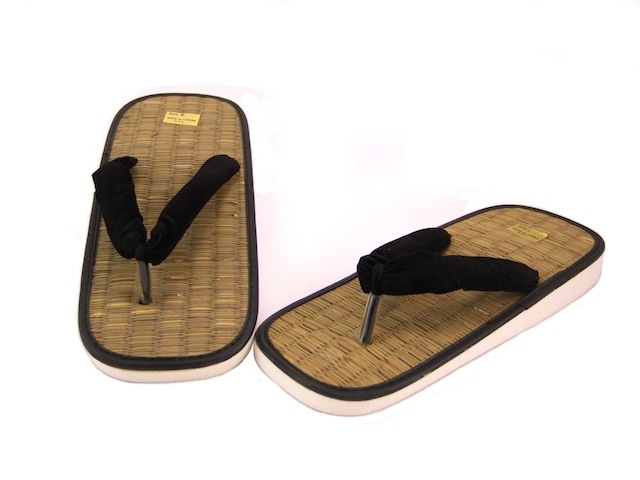 The Japanese straw style footwear that is required by all Judoka to side of the mat. Compulsory for use at grading's, courses or competitions, these are comfortable to wear as the straw prevents your feet getting sweaty. Recommended to write your name in bold felt pen on the side so that you can tell yours from everyone else's! For reasons not worth entering into here, we have only UK size 6 and 8 which equates to European size 39 & 42 but don't worry, these sizes cover most people!